Winston Churchill, Harold Thompson, Walter H. Thompson et al. Winston Churchill returns from Tehran in very poor health. So much so that his doctor expects him to die. Walter's devotion is such that he insists on staying at Winston's side on the crucial night and disaster is averted. In almost any piece of film you'll see of Britain's great wartime leader, he is the man in the background anonymous and secret. 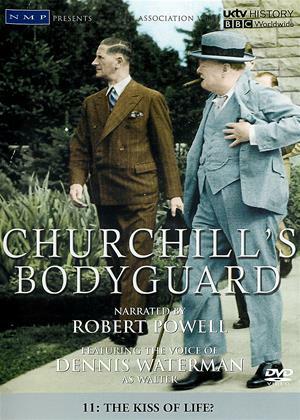 Until now his critical role in saving the life of Churchill from a series of attacks has been hidden from the wider public. After the war Walter Thompson's censored book told just part of the story. His full memoirs were suppressed even by Churchill himself only now can we recount die number of assassination attempts on Churchill's life. Many foiled by Walter. This thirteen part series, with unique access to diese incredible memoirs, reveals for the first time, the story of Walter's life with Winston. Togedier they travelled thousands of miles on precarious journeys to meet Stalin and Roosevelt and other world leaders. Together they rode widi Lawrence of Arabia, dodged German assassins, were nearly shot down by enemy aircraft, lone gunmen, U-boats and IRA hitmen.